This collection provides several eBooks, illustrations, webinar and slides about anti-money laundering (AML) and financial crimes. 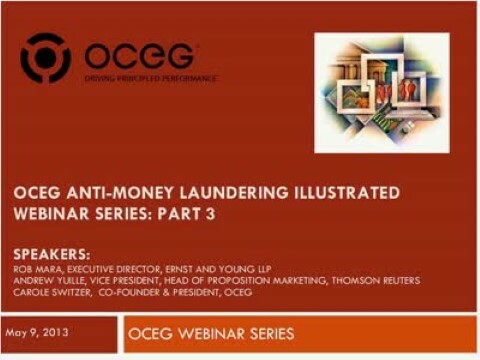 This third installment in OCEG ‘s Anti-Money Laundering Illustrated Series addresses how to assess customers to identify those that may engage in money laundering. Knowing your customer—really understanding them, their products, services, market areas, and business-specific context, can help your organization avoid high-risk situations and potential catastrophe. A system of monitoring, that checks both automated and human processes, decisions and actions, helps you identify risk before it becomes a problem. One last step before we send your illustration! 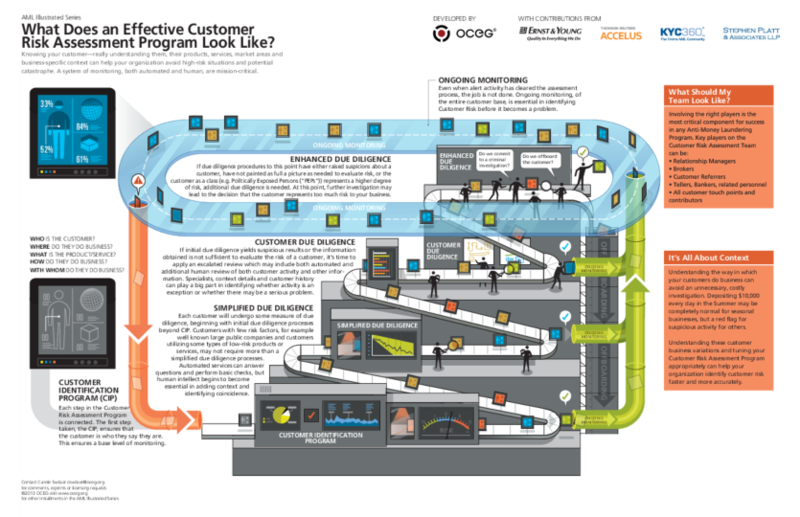 We have emailed instructions to access Illustration – AML Series #3 – What Does An Effective Customer Risk Assessment Program Look Like to . Make sure the email arrives in your inbox: either add "support@oceg.org" as a safe sender to your email platform, or if you use Gmail, drag our email into your Primary tab.